Soon spring will be in the air. That means lots of pollen. 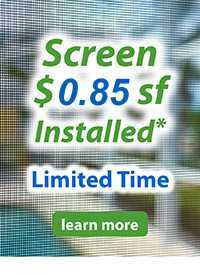 If the sight of your screen porch, lanai, entry or pool enclosure developing an ugly yellowish-green tinge or the screen or aluminum has mold or mildew developing which is making you search “how to clean my screen patio enclosure” in Google, then you’ve landed in the right place. While screen enclosures do an excellent job of keeping bugs, critters and yard debris out of your outdoor living spaces, their exteriors don’t repel pollen. Over time, pollen can accumulate on the structure’s surfaces, forming a film that makes your enclosure look worn or dirty. There is a way to fix this with a little elbow greese. If you find that the cleaning solution with vinegar doesn’t quite work or you prefer to go straight to the hard stuff, bring out the bleach. 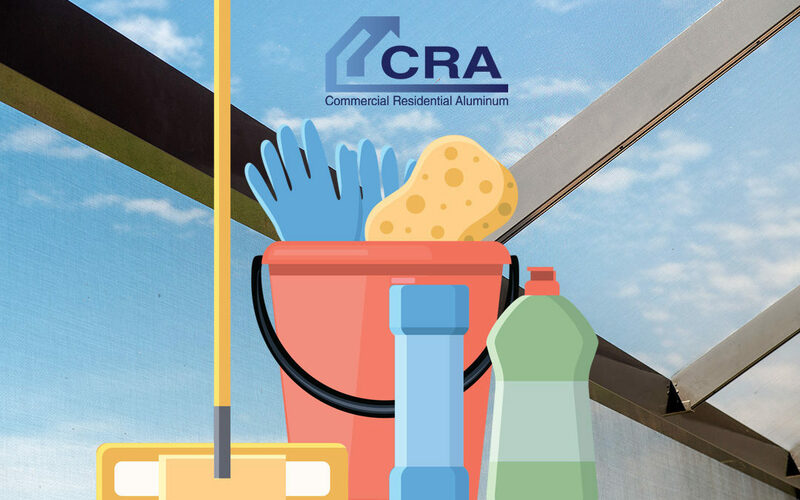 Bleach can sometimes discolor aluminum, and it’s also hard on skin, surrounding plants and patio furniture that might come in contact with some of the solution so take a cautious approach here. Mix 3 parts water with 1 part bleach and wear gloves to protect your hands as you gently scrub the stained areas with the mixture. If problems persist, then you may want to seek out a professional company that offers screen cleaning services. 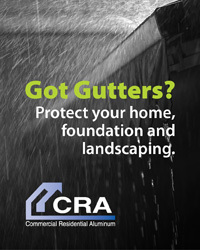 CRA has been building custom screened pool, lanai, patio and entry enclosures for over 25 years. We have patented beam technology that allows us to build a stronger structure using less material for an overall better looking product with less material to get in the way of your view. 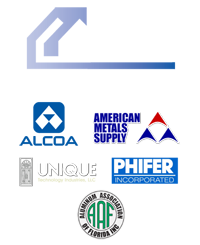 Contact Commercial Residential Aluminum today at (941) 486-9104 to discuss your project or request a hassle free quote using our online Quick Quote Form.